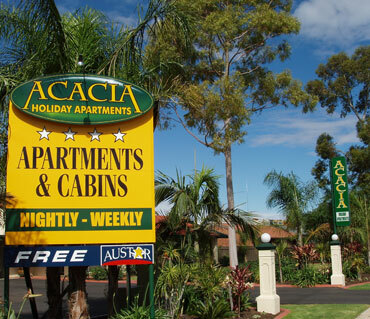 Acacia Holiday Apartments and Cabins are ideally located on the Calder Hwy at 761 Fifteenth St Mildura. Set amongst shady trees and picturesque gardens Acacia Holiday Apartments and Cabins is the smart accommodation choice for your next stay in Mildura. Whether you're staying for business or pleasure we have the facilities to meet your every day requirements. We pride ourselves on providing our guests with clean comfortable and affordable accommodation. Your hosts welcome you to come and stay in the comfort of one of their well appointed, refurbished 1-4 bedroom self contained apartments or cabins. Their warm and friendly hospitality is guaranteed to make you feel right at home, making your stay nothing short of a comfortable and pleasurable experience. With Centro Mildura, Gateway Tavern, Hungry Jack's, Domino’s Pizza, Subway, Post Office and major retail outlets all within 600 meters or less, Acacia Holiday Apartments and Cabins is well situated to cater for all of the family. We have no set check in time, so you can arrive when it is most convenient for you. 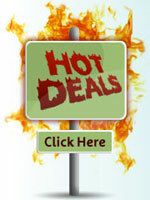 We have long term stays are available. Please call us to discuss tariffs.